Many, including President Rodrigo Duterte himself, have scorned the idea of Martial Law in the Philippines to keep the country under a state of LAW and ORDER. But in his previous statements, the President said that he rather use the “strongest political tools” in office to fight threats to public security. “I will not declare martial law but just like what I’m doing, I will go for the strongest tools — political tools in my hand,” President Duterte said. Not known to many, the Philippines remains under a state of national emergency on account of lawless violence, which Duterte declared in September 2016. 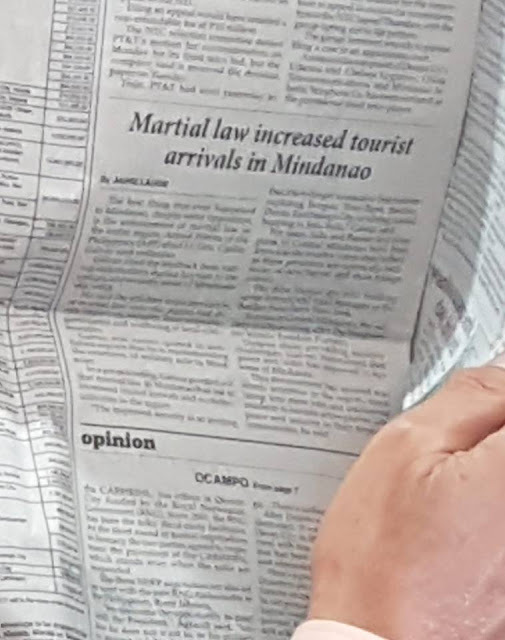 Meanwhile, Mindanao has been under Martial Rule since May 2017 after the Marawi siege. The Martial Law proclamation has been extended until the end of the year. Despite the development, Duterte is yet to lift the declaration of martial law in Mindanao. “I saw this in the newspaper today and it says, ‘Martial law increased tourist arrivals in Mindanao’. The headline caught my eye because in Region 12 or SOX, the report is quite accurate. Our tourist arrivals are increasing, and tourists do say, “we did not feel the martial law”. Martial law expressed by those who oppose it have been too emotional and a little over board (in my opinion). Here in our region, we appreciate the hard work of our men and women in uniform. These men and women in uniform are friendly. In fact, those in the Joint Task Force Gensan have frequent bible studies and prayer fellowships. Not many know this, but those who stand guarding our gates are prayer warriors too! What we are saying is this… the current Martial Law is different. We in Mindanao enjoy the security offered by the government and its making our business sector flourish. This is why we are not complaining and in fact we appreciate it. 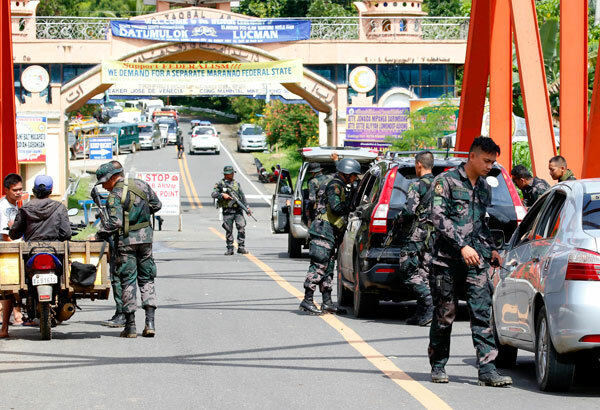 The Armed Forces of the Philippines (AFP) on Tuesday eyes yet another extension of Martial Law in Mindanao to the President, as a result of a “POSITIVE” campaign. AFP Chief of Staff Carlito Galvez Jr. said the military will still have to re – assess the comprehensive report on Martial Rule prior to recommending the extension, along with the recommendation of Regional Peace and Order Councils. 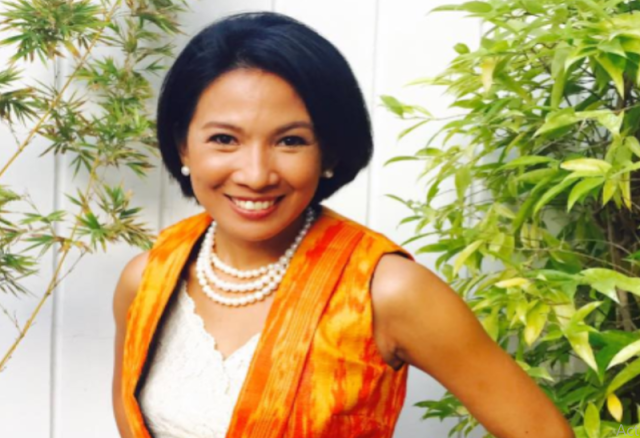 In a statement, Galvez said, "Majority want to extend martial law in whole of Mindanao. that is why we are waiting for the comprehensive report before we do that (recommendation)." Upon visiting the Eastern and Western Mindanao Command, Galvez said the series of command conference is to determine the accomplishments and effects of Martial Law in its scope of responsibilities. While National Security Adviser Hermogenes Esperson Jr previously opposed the extension of Martial Law, saying that it should be the ‘last resort’, both the Philippine National Police (PNP) along with Interior Secretary Eduardo Año have already agreed for its possible extension.